Feb. 22 marked the third annual national Skip the Straw Day—a day created by Michigan middle school students who were fed up with plastic pollution and its impact on wildlife and the planet. MontPIRG and our national network teamed up with Environment America to mark the day by asking our members to pledge to skip the straw. 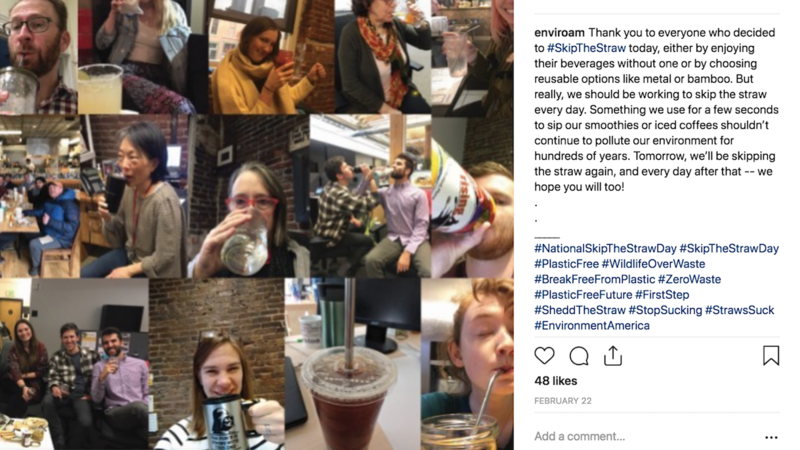 "Reducing our own use of single-use plastic straws is a good first step toward addressing our plastic pollution problem, and it's powerful that so many people are enthusiastic to do so," said Alex Truelove, director of our national Zero Waste campaign. "The next step? Urging legislators to support bills that will reduce plastic pollution on a much larger scale." U.S. PIRG and Environment America are supporting legislation in seven states requiring that most restaurants make disposable plastic straws available only upon request. Learn more about our work to reduce plastic pollution here.